We are proud organizing the second edition of European Cup Duo Games. Last year’s edition received the very high approval rating of 8.6 from the athletes / supporters / coaches and referees. This approval rating pleases us a lot and also shows that this contest form has a large amenity value. 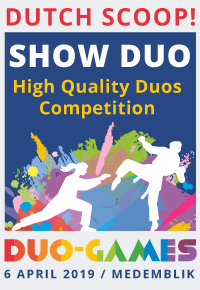 Ju-Jitsu Duo Games is a great technical comparative contest form and is registered as a fully and autonomous event on the European contest calendar. Furthermore it is an event with a large strength of binding elements and many innovations. One of the binding elements at this European Cup, is the performance of live musicians. They are composing their music especially for the Duo Games. 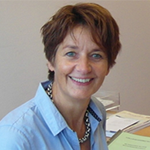 Another binding aspect is the support from the municipality Medemblik, hence also the community is involved. We have an incredible team of volunteers who contribute to a sportive, sensational, welcoming and swirling event for young and old. 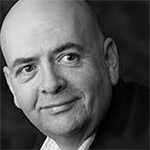 Business community is also well visible as the moral code of budo is also well applicable for many organisations. We are honestly really proud on our great team of more than 50 volunteers who put, full of passion, a High Standard event in 2018. We are taking a deep bow for these fantastic people, they will again realize a day with Topsport which will be one to remember. We will also establish a link to our fight against cancer. Normally a part of the registration fee is intended for Kika, but this time we choose for an active support of the foundation Miranda Mania. From this foundation a lot of money has raised for cancer research the past years. In short, the European Cup Ju-Jitsu is not just an event, it’s priceless! 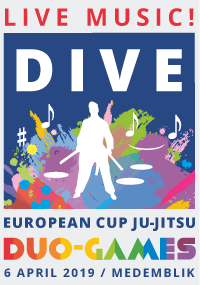 It is with great pleasure that I welcome you as Ju-Jitsu enthusiast to the European Cup Duo Games 2019 in the municipality Medemblik. What a thrill that this wonderful event will be organised for the second time in our municipality. I am really proud that this will also be the fact for next year. The European Cup is one of many top sports that take place in Medemblik. Besides Ju-Jitsu, we are happy to also be host of international sailing events (as Medemblik Regatta) and handball, rollerblading, skating and dozens of individual top sport events. Medemblik is top sport! Besides top sport, also amateur sport is really important. Because everybody has the right to grow up healthy. For this reason, top sport and his heroes are the source of inspiration to be engaged. I would like to invite you to enjoy sports, but also enjoy all the beautiful things Medemblik has to offer. Medemblik is well-known by its cosy harbours and the beautiful historical centre with many houses and building from the 16th and 17th century. I wish you good luck and fun! Dear sport friends and enthusiasts! From year to year we can watch more and more young athletes performing at their best in ju-jitsu sport. 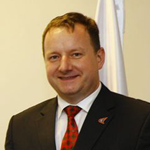 As we have Aspirants and Juniors participating at European and World Championships. We were also looking to find a way for a high-level event also for Ju Jitsu Duo System. 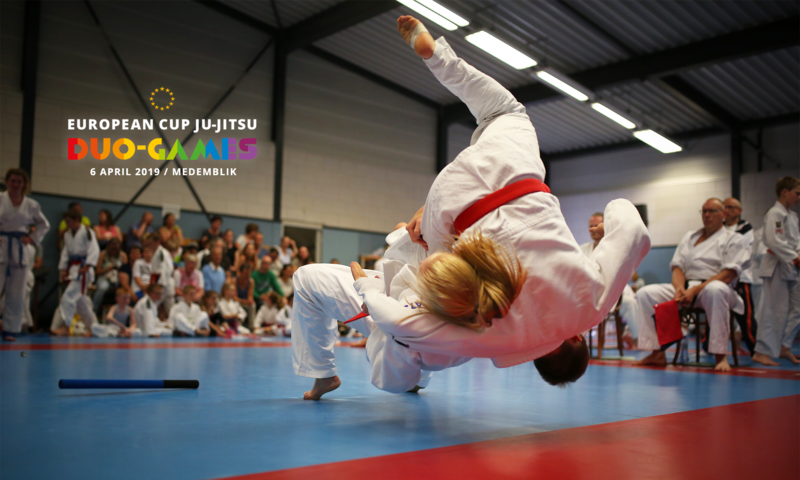 We would like to thank the city of Medemblik, Budoschool Shi-Sen-Do and Judo Bond Netherland for taking the challenge to be the first to organise new format of Europe Cup Duo Games. It’s a new concept with live musical Support en more new thrilling innovations. It’s the place to be for all Duo-Games athletes. I hope you will enjoy in the hospitality of the Netherlands, have a good time and take home friendly memories by this second edition. Last but not least we would like to thank especially parents of our youngest athletes for all the support and investment of time and energy in ju-jitsu. We are proud and grateful having you in our family. 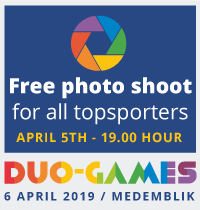 It gives me great pleasure to invite you for the second continental championship Europa Cup in DUO system, the DUO games, accompanied by the JJEU annual General Assembly. 2019 is a year of a lot of new activities in Europa, this European Cup in DUO is one of them. I hope that positive approach, patience and good governance will improve the conditions for our athletes and further recognition of their achievements in the future. 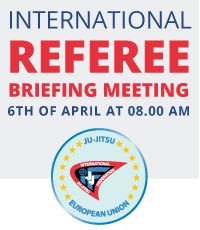 The Ju-Jitsu European Union and the Dutch Judo Federation has the privilege to entrust the organization of this European Cup to the capable hands of our sports friends in Medemblik who have the full support of the City of Medemblik. The championship will take place in Wognum. I would also like to use this opportunity to thank the team of Budoschool Shi-Sen-Do from Opperdoes and other supporters, sponsors for their support. It is always nice to witness the amount of understanding of importance of sports beyond the promotional level – the effect on education and building friendship. 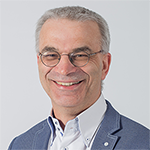 My compliments to Mr and Mrs Takken and their team for their professional approach, effective response, love and enthusiasm they have invested in ju-jitsu and, in particular, in the DUO systems for the European Cup in DUO systems 2018-2019-2020-2021. We wish you a pleasant stay and please remember that winning is nice, but being part of a European Cup is a reward in itself. Be proud of yourself, be proud to be part of the ju-jitsu world. We welcome you to Medemblik!